PCSO arrest report/photos provided by the Pickens County Sheriff’s Office. The Georgia Open Records Act (O.C.G.A. 50-18-70) allows for www.fetchyournews.com to obtain and post the arrest records of any and all individuals arrested in Pickens County. Those arrests are posted on www.fetchyournews.com for viewing pleasure. Please remember that all individuals listed have been arrested and charged, however, they are presumed innocent until guilt has been proven in a court of law. 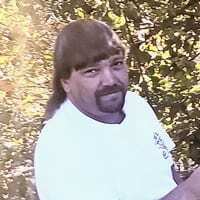 Mr. Donald (Digger) Milton Williams, age 50, passed away Tuesday, March 5, 2019 at his residence in Jasper. Mr. Williams is survived by his Father: Alex Williams of Jasper; Mother: Elizabeth Armstrong of Ball Ground; Sister and Brother-in-law: Adonna and Gary Walker of Ball Ground. Sister: Marian McArthur of Jasper. Nieces and Nephews also survive. Visitation will begin Wednesday, March 6, 2019 from 5:00 PM until 9:00 PM. Thursday, March 7, 2019 from 8:00 AM until the funeral hour. Funeral service will be held at 4:00 PM Thursday, March 7, 2019 at the Chapel of Cagle Funeral Home. David Shivington will be officiating. Pallbearers will be Cody Walker, Clate McArthur, David Lawson, Brett Mullins, Matthew Mullins, Tommy Padgett and Hagen Mullins. Honorary Pallbearers will be: Scottie Weaver and William Mullins. Interment will be at Sunrise Memorial Gardens, Escorted by Old Souls Brotherhood. The Family will accept flowers but prefer donations be made to Cagle Funeral Home to help with Funeral Expenses. Mrs. Edna Grace Duckett, age 87, passed away Friday, February 15, 2019 at her residence in Nelson. Mrs. Duckett is survived by her Sons & Daughters-in-Law: Carl & Lisa Duckett of Jasper; Terry & Lynn Duckett of Marble Hill; and Richard & Jenny Duckett of Nelson. Daughters: Gail Schien of Marble Hill; Sharon Smith of Marble Hill and Brenda Duckett of Marble Hill. Brother: Charlie Bozeman of Florida. Sisters: Mildred Wilson of Jasper and Carol Henson of Canton. Sister-in-Law: Mabel Bozeman. Also surviving 26 Grandchildren; 43 Great-Grandchildren and 4 Great-Great Grandchildren. Several nieces and nephews. Edna was preceded in death by husband: Luke Duckett. Son: Greg Duckett. Mother & Father: Turner & Lora Bozeman. Visitation will be held Saturday, February 16, 2019 from 11:00 AM until 10:00 PM. Sunday, February 17, 2016 from 8:00 AM until 10:00 PM and Monday, February 18, from 8:00 AM until the funeral hour. Funeral services will be held Monday, February 18, 2019 at 11:00 AM in the Chapel of Cagle Funeral Home. Rev. Lee Roy Blackwell and Rev. Bruce Weeks will be officiating. Interment will be in the Arbor Hill Baptist Church Cemetery. Cagle Funeral Home is honored to serve the Duckett Family. 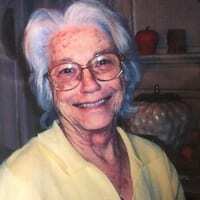 Mrs. Virginia Alice Chastain, age 92, of Hinton Community passed away at her residence February 14, 2019. Mrs. Chastain is survived by her Sons & Daughters-in-Law: Virgil & Margaret Chastain of the Hinton Community and Johnny & Anita Chastain of Hinton Community. Daughter & Son-in-Law: Patricia & Chris Huston of Hinton Community. Sister: Cleo Patterson of Calhoun. Also surviving are Six Grandchildren and Nine Great-Grandchildren. Several Nieces and Nephews also survive. Virginia is preceded in death by her husband Ulyess Chastain. 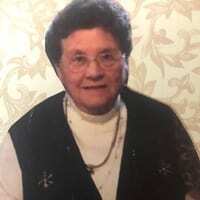 Visitation will be held Friday, February 15, 2019 from 4:00 PM until 9:00 PM and Saturday, February 16, from 8:00 AM until the Funeral Hour. Pallbearers: Mitchell Patterson, Ricky Patterson, Mark Chastain, Matt Chastain, Richard Chastain, Ronald Lee Evans, Larry Buttrum, Ray Buttrum, Chris Chastain and Keith Chastain. Honorary Pallbearers: Jeff Chastain. Funeral services will be held at 4:00 PM Saturday, February 16, 2019 in the Chapel of Cagle Funeral Home. Interment will be in the Hinton Community Cemetery. Cagle Funeral Home is honored to serve the Chastain family.